Is it possible Ask the Doctor has been mis-titled? It’s the question I find myself asking after viewing the first episode of ABC’s new factual series, given there wasn’t much “asking” going on -at least as far as the audience is concerned. This half hour series sees Dr. Shalin Naik, Dr. Renee Lim, and Dr. Sandro Demaio as presenters examining a different medical issue each week, beginning with Obesity. Rather than tackling questions from the audience, either in studio or via social media, they are out in the field exploring various aspects of the weekly topic. 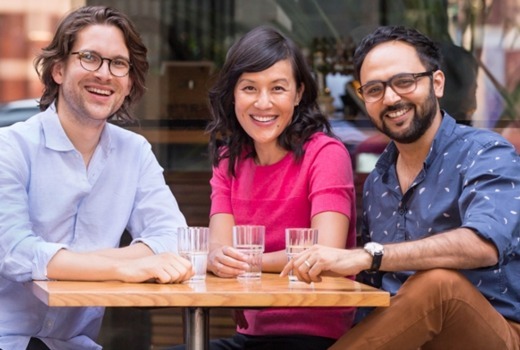 In the first episode Dr. Renee Lim (best known for her comedy role in Please Like Me) travels to Ararat to meet a former Biggest Loser contestant to learn about the challenges of keeping weight off after drastic weight loss. Sharon is a big advocate for the TEN show, but the post-show maintenance is punishing. Dr. Sandro ventures that our environment also impacts on our dietary regime, with regional Australia facing extra hurdles to exercise and access fresh foods. This segment was high in graphics but light-on with the tips. Self-confessed geek Dr. Shalin Naik turns guinea pig for a world-first experiment involving an MRI and a chilly body suit, to trigger “brown fat” effects. It’s all very high-tech, but not exactly something you can try at home. Sometimes the presentation was a bit showy. Maybe I was hoping for something more cluey and less lifestyle, or that aligned it more closely to its title. You Can’t Ask That has done this to much success, where its subjects address common questions. After the demise of Catalyst ABC needs to restore some faith in its science brand. If the doctors can spend a bit more time answering questions rather than asking them, it will be heading in the right direction. And remember…. always consult your own doctor. Ask The Doctor premieres 8pm Tuesday on ABC. Why do the ‘doctors’ on this show seem to know nothing. Can we have some intelligent medical programming, not this ‘soap opera’ medicine. I would expect better from the ABC, they have gone to the lowest common denominator. They were asking people to send in their questions for this program on the health pages of abc.net.au a while ago, so I guess that’s where they got their direction from. I really wish we could get some in depth reporting and analysis on health subjects, not another chirpy magazine style thing. Will watch, though.